Over the past decade LED technologies have developed dramatically seeing improvements in product reliability and efficacy in terms of lumens per watt (LPW). To qualify for rebates from regulatory bodies such as Design Lights Consortium® (DLC) and ENERGY STAR®, minimum system LPW requirements for high power lighting today are between 100 and 130 LPW depending on the application. Cree initiated a streetlight project to develop an efficient 6000 lm luminaire weighing under 3 lbs to both replace the typical 100 W high‑pressure sodium (HPS) fixture, generally weighing in excess of 20 lbs, and to keep pace with the ever increasing DLC requirements for street lighting. Cree wanted to use reliable, efficient and readily available off‑the‑shelf components for the design, knowing high efficiencies would play a key role in meeting the design goals. While not using optics increases LPW specifications on paper, something that is often attractive to customers, real world examples show the true value of optical control. Not using optics leads to uneven, uncontrolled spill light, in contrast to the even illumination and cutoff when optics are used. 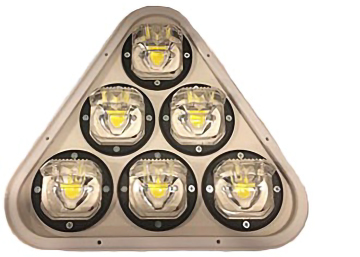 The final design saw Cree pairing their ceramic‑based XLamp COB LEDs with LEDiL’s STELLA-G2 IESNA Type III optics for streetlights. 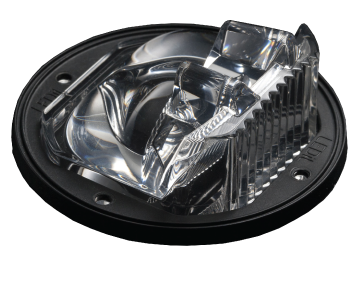 These silicon lenses are IP67 rated* and compatible with COBs up to a 30 mm LES size, easily accommodating the 23 mm LES size of the CXB3050 LED used in this design. The lens has a tight cutoff and provides Type 3 beam to the street, while also minimizing light pollution. 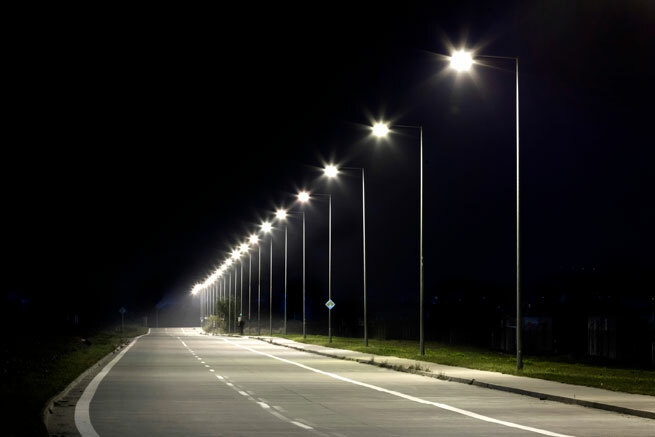 The street light project results showed a total luminaire efficacy (including all driver and optical losses) of 172 LPW, which is above current DLC Premium requirements. Efficiency combined with the true value of optical control made this a worthwhile real‑world exercise.